for 9/11, and the CIA says that we’ve now killed all but a couple of their leaders and a few dozen of their foot soldiers. All that’s left is the Taliban, which is the target of a very specific military campaign in Afghanistan. There are several very revealing aspects to all of this. 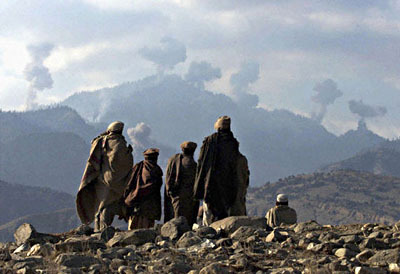 First, the 9/11 attack happened more than a decade ago; Osama bin Laden is dead; the U.S. Government claims it has killed virtually all of Al Qaeda’s leadership and the group is “operationally ineffective” in the Afghan-Pakistan region; and many commentators insisted that these developments would mean that the War on Terror would finally begin to recede. And yet here we have the Congress, on a fully bipartisan basis, acting not only to re-affirm the war but to expand it even further: by formally declaring that the entire world (including the U.S.) is a battlefield and the war will essentially go on forever. As before, I don’t know how much concrete difference this makes. Congress hasn’t made a peep over our Yemen operations and only barely roused itself to notice the Libya war. But Glenn is right: apparently some of them have noticed an embarrassing loose end or two, and they want to make sure no one can pester them over it. From now on, military force will be perpetually pre-authorized against anyone who “supports” any group “associated” with something that looks like al-Qaeda. In other words, pretty much anyone at all.